For other uses, see Air Force Two (disambiguation). In broadcasting and radio communications, a call sign is a unique designation for a transmitter station. In the United States of America, they are used for all FCC-licensed transmitters. A call sign can be formally assigned by a government agency, informally adopted by individuals or organizations, or even cryptographically encoded to disguise a station's identity. Marine One is the call sign of any United States Marine Corps aircraft carrying the President of the United States. 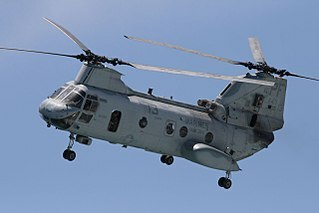 It usually denotes a helicopter operated by Marine Helicopter Squadron One, either the large Sikorsky VH-3D Sea King or the newer, smaller VH-60N "White Hawk". Both helicopters are called "White Tops" because of their livery. Any Marine Corps aircraft carrying the Vice President has the call sign Marine Two. The Royal New Zealand Air Force (RNZAF) is the air force component of the New Zealand Defence Force. 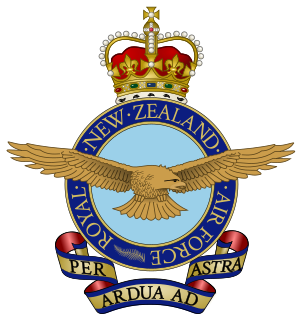 It was formed from New Zealand elements of the British Royal Air Force, becoming an independent force in 1923, although many RNZAF aircrew continued to serve in the Royal Air Force until the end of the 1940s. The RNZAF fought in World War II, Malaya, Korean War, Vietnam and the Gulf War plus various United Nations peacekeeping missions. From a 1945 peak of over 1,000 combat aircraft the RNZAF has shrunk to a strength of around 51 aircraft in 2016, focusing on maritime patrol and transport duties in support of the Royal New Zealand Navy and the New Zealand Army. The RNZAF's air combat capability ended in 2001 with the disbanding of the A-4 Skyhawk squadrons. The Air Force is led by an air vice-marshal who holds the appointment of Chief of Air Force. The Boeing C-40 Clipper is a military version of the Boeing 737-700C airline transport. 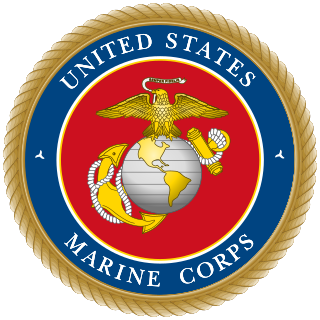 It is used by both the United States Navy and the United States Air Force, and has been ordered by the United States Marine Corps. The Navy C-40A variant is named "Clipper", whereas the USAF C-40B/C variants are officially unnamed. The Boeing C-32 is a military passenger transportation version of the Boeing 757-200 as designated by the United States Air Force. The C-32 provides transportation for United States leaders to locations around the world. The primary users are the Vice President of the United States, the First Lady, and the Secretary of State. On rare occasions, other members of the U.S. 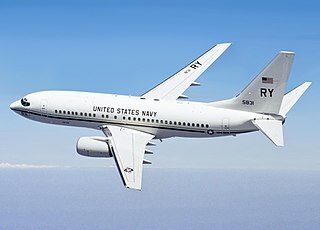 Cabinet and Congressional leaders have been authorized to fly aboard the C-32 for various missions. The C-32, since its debut, has also served as Air Force One in place of the larger VC-25A to airports that cannot support that Boeing 747-based jumbo jet. Marine Helicopter Squadron One (HMX-1) is a United States Marine Corps helicopter squadron responsible for the transportation of the President of the United States, Vice President, Heads of States, DOD Officials and other VIPs as directed by the Marine Corps and White House Military Office (WHMO). A Marine helicopter which has the President aboard uses the call sign "Marine One". Previously, HMX-1 was also tasked with Operational Test and Evaluation (OT&E). This task was reassigned to VMX-1 in Yuma, Arizona; since the contract award of the new Presidential Helicopter in 2014 to Sikorsky Aircraft, however, HMX-1 has assumed the temporary role of OT&E for this platform, due to its unique nature and mission. The VH-92A achieved first flight in 2017 and is expected to be operational in 2020. Nicknamed "Nighthawks", they are headquartered at Marine Corps Air Facility Quantico, Virginia, and maintain detachments at Joint Base Anacostia–Bolling in Washington, D.C. and Joint Base Andrews Naval Air Facility in Maryland. Paya Lebar Air Base (PLAB) is a military airbase of the Republic of Singapore Air Force located at Paya Lebar, in the central-eastern part of Singapore, the airbase goes by the motto of "Strength Through Readiness". Army One is the callsign of any United States Army aircraft carrying the President of the United States. From 1957 until 1976, this was usually an Army helicopter transporting the President. Prior to 1976, responsibility for helicopter transportation of the President was divided between the Army and the U.S. Marine Corps until the Marine Corps was given the sole responsibility of transporting the President by helicopter. Coast Guard One is the call sign of any United States Coast Guard aircraft carrying the President of the United States. Similarly, any Coast Guard aircraft carrying the Vice President is designated Coast Guard Two. Air transports for heads of state and government are, in many countries, provided by the air force in specially equipped airliners or business jets. One such aircraft in particular has become part of popular culture: Air Force One, used by the President of the United States and operated by the United States Air Force. Brazilian Air Force One is the Brazilian Air Force call sign of the aircraft carrying the President of Brazil. On international flights the aircraft uses the Brazilian Air Force ICAO code BRS1 and callsign Brazilian Air Force 01. The Special Transport Group (GTE) is the unit of the Brazilian Air Force responsible for transporting the President, Vice-President and other senior government officials. The 563d Rescue Group is a United States Air Force unit stationed at Davis-Monthan Air Force Base, Arizona. The group also controls the rescue squadrons at Nellis Air Force Base, Nevada. It is assigned to the 355th Wing. The group directs flying operations dedicated to personnel recovery and is part of Air Combat Command. The group was activated under its current designation at Davis-Monthan in 2003 to command rescue units in the western United States. The United States Air Force Special Air Mission provides air transportation for the President of the United States (POTUS), Vice President of the United States (VPOTUS), First Lady of the United States (FLOTUS), Presidential Cabinet, U.S. Congressional delegations (CODELs), and other high-ranking American and foreign dignitaries. ↑ "Factsheets: C-32". Air Force Link. Archived from the original on 3 August 2008. Retrieved 30 January 2009. ↑ "Order 7110.65R (Air Traffic Control) §2-4-20 ¶7". Federal Aviation Administration. 14 March 2007. Archived from the original on 12 October 2009. Retrieved 27 August 2007. ↑ "Cheney heads overseas to talk terrorism". USA Today. Associated Press. 10 March 2002. Retrieved 30 January 2009. ↑ Whitelaw, Kevin (11 March 2002). "Reporter's Notebook on Cheney's Mideast trip: Day 1: London". US News. Archived from the original on 13 January 2009. Retrieved 30 January 2009.